Thanks to everyone that attended our August meeting. We had a great meeting with over 65 people! Don’t forget to check out local events like SoCal Code Camp, SQL Saturday and more by clicking here. Thanks to everyone that attended this months meeting. We had two awesome talks on software testing (can’t get enough of that). 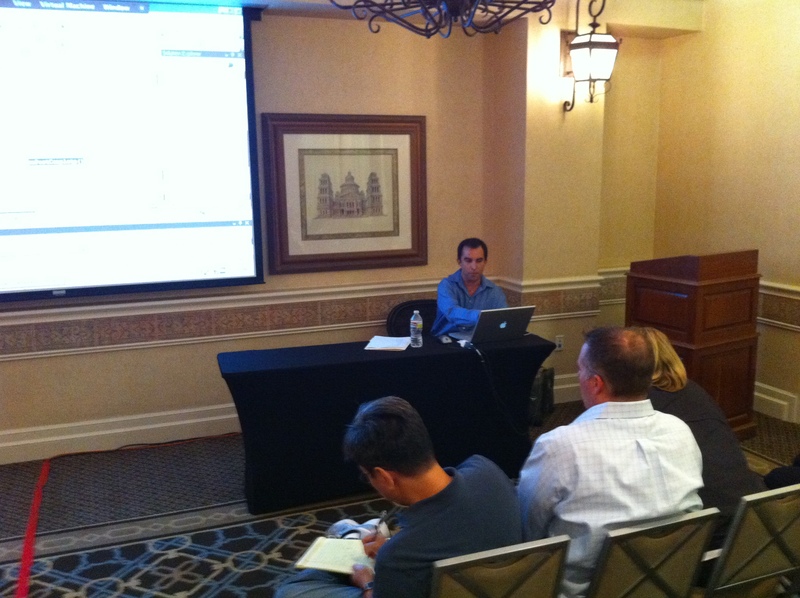 We had a great meeting last night hosted at the Del Mar DoubleTree hotel. About 55 people attended and we got many compliments on the pizza that was prepared by the hotel. Thanks again to our sponsor Mitchell International who paid for the entire meeting to be hosted at the hotel, including food! “Hey Dave, that was my first .NET Developers UG. Definitely great stuff – enjoyed it a lot and am going to make a point to go to future ones. Thanks – and pass my thanks onto Mitchell. ” – Dave K.
“As always, thanks for organizing a great meeting last night (and yes, the non-Domino’s pizza was great… Complements & thanks to Mitchell! ).” – Jon B. “Good meeting last night. I wish there had been more time for Jeffery to talk. I am interested in MVC but would like to get some more basic insight into how it is used.” – Doug M.
Thanks to everyone who came to our June meeting. Thanks again to Microsoft for sponsoring the meeting and providing pizza and soda. Thanks to everyone who came to our May meeting. Thanks again to Outsource Technical (http://ostechnical.com) for sponsoring the meeting and providing pizza and soda. Don’t forget about our April 6th meeting coming up soon. See you at the April meeting! The 2nd ½ of the meeting was a Preview of Visual Studio 2010 Application Lifecycle Management by Mike Vincent of MVA Software. http://mvasoftware.com/ For a detailed slide deck Mike put together last year check out http://www.socalteamsystem.org/downloads/A%20Lap%20Around%20VSTS%2020…. Mike indicated that VS 2010 is set to release @ the 2nd Week of April. Below are a the key points Mike highlighted prior to diving into a live Demo of VS2010 features.